The Auburn Public Schools is seeking a dynamic instructional leader for the Bryn Mawr School beginning on July 1, 2019, in grades PreK-2 with 45 dedicated staff members serving the needs of approximately 350 students. The ideal candidate will nurture a positive, supportive and challenging learning environment marked by high academic standards and a strong commitment to open communication and organization. The incorporation of research-based instructional practices and a solid understanding of students’ developmental needs are a must. Five years teaching experience required with administrative experience preferred. 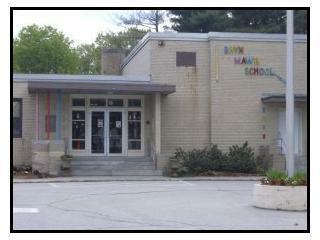 Welcome to Bryn Mawr Elementary School! opportunities of a changing world. Auburn Public Schools is committed to maintaining a work and learning environment free from discrimination on the basis of race, color, religion, national origin, pregnancy, gender identity, sexual orientation, marital/civil union status, ancestry, place of birth, age, citizenship status, veteran status, political affiliation, genetic information or disability, as defined and required by state and federal laws. Additionally, we prohibit retaliation against individuals who oppose such discrimination and harassment or who participate in an equal opportunity investigation. 5 years teaching required; administrative experience preferred.